What began as a very good and productive Sunday turned into catastrophe when I received a request for a Skype call and many texts saying that Claude Noel and Perry Pearn were relieved of their jobs. The Jets have been plagued with flagrant inconsistencies and, with a third consecutive season getting off its rails following yet another 5-game losing streak, GM Kevin Cheveldayoff pulled the trigger which sent Papa Noel home. While most agreed that a change had to be made and with many applauding today’s move, it does beg the question: was it the right one to make? 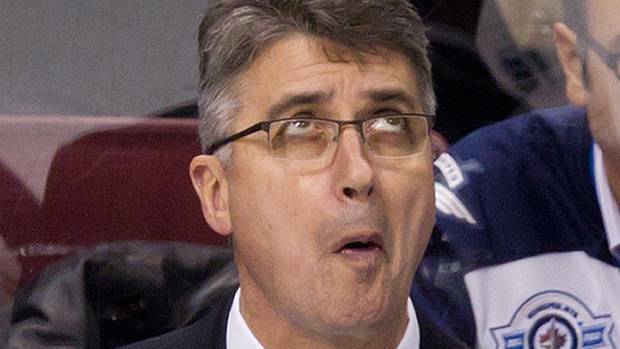 Many Jets fans have become overtly vocal about their disapproval of Claude Noel over the last few months. I will admit that I questioned some of his decisions at some points too, wondering if he was at the source of the issues that had been plaguing the dressing room for things to go so badly at times. 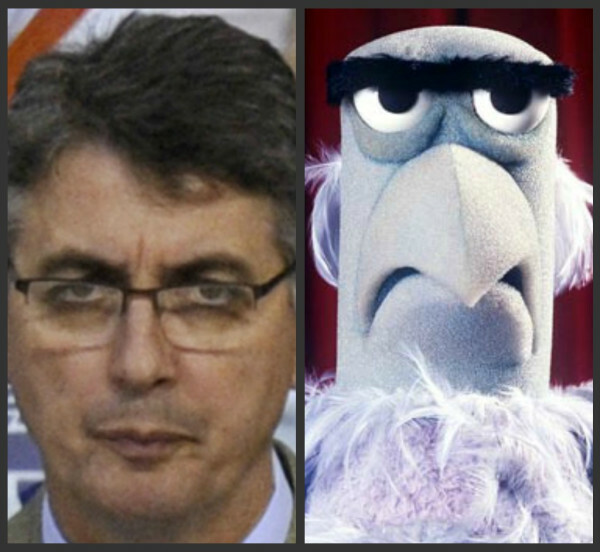 But coaching is an art, not a science, and there is no one who can convince me that our Sam the Eagle look-alike didn’t put his very best efforts in night in and night out. So what went wrong? Was it his attitude in the dressing room? Was it the lack of talent that he had to work with? Was the system he insisted on implementing flawed? Or perhaps it was the clash between a nice guy trying to correct poor hockey culture and player unaccountability that was brought over from Atlanta? We may never know for sure, but it became evident to me in the player interviews following the news of his firing that they seemed somewhat relieved and felt that it was the right move for them. But what about Chevy? 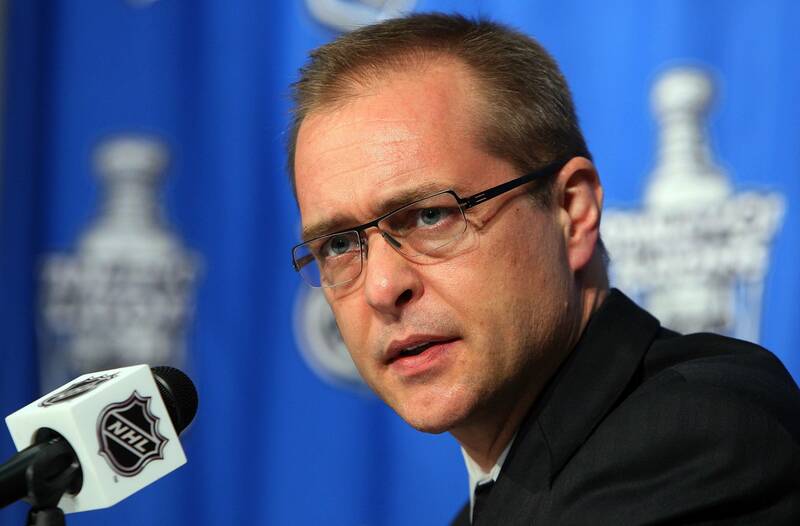 Was firing Noel his preferred option in trying to shake things up in Winnipeg? Many have accused the GM of not doing his job of hiring and firing people, trading assets or just doing something to help the team. 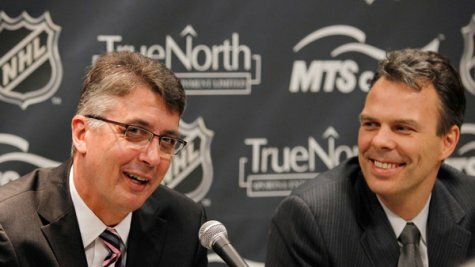 But with trade rumours circling around the NHL over the past few months that involved the likes of Byfuglien, Kane, Wheeler, Stuart and Setoguchi, to name but a few, I think Claude Noel’s firing is merely a reflection of Chevy not being able to find the deals on the cap-market that will move the franchise forward. 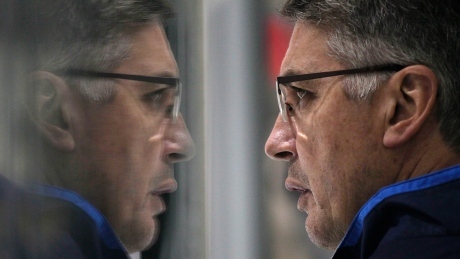 Something had to be done and, to much of his dismay, the GM made that move and it involved firing Claude. And so marks the end of the Chapter 1 of the new Jets era. The team had a record of 80-79-18 under Noel and they currently sit in last place of the Central Division. 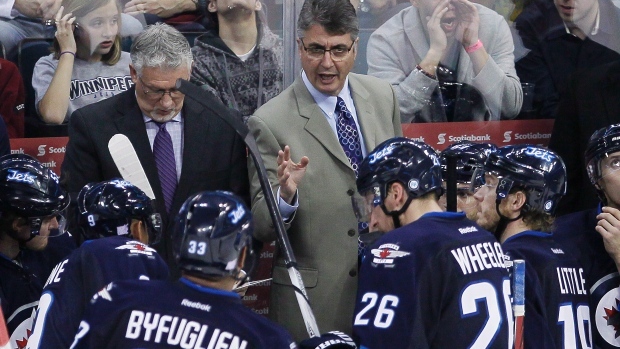 The Jets face off tomorrow night at home against a strong Phoenix Coyotes squad and with there being only a few weeks until the Olympic break, it may give incoming coach Paul Maurice just enough time to get a good sense of the task at hand from then until the end of the season, when his first contract is set to expire. Claude, you may not be a looker on camera, but we could all tell by your interviews and relations with the press and fans that you cared about our club and our city. You will be missed. Merci et bonne chance. This entry was posted in Winnipeg Jets and tagged Blake Wheeler, Claude Noel, Devon Setoguchi, Dustin Byfuglien, Evander Kane, Kevin Cheveldayoff, Perry Pearn, Winnipeg Jets. Bookmark the permalink. 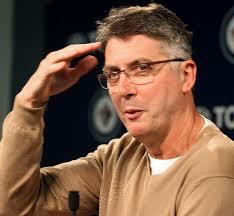 Claude got the shaft ,Ladd and Wheeler think they are the stars, what a joke.